Due to rapid changes in the technology and end user’s expectations from enterprise applications, Organizations are demanding ever increasing speed and agility in deliver of applications to support new technologies, new functionality, and increase time to market to take advantage of new opportunities. All these factors are driving focus on software testing to a new level. Global organizations are now demanding innovation in testing services to deliver business value with minimum utilization of resources. Ever increasing competitive markets are redefining criteria for successful software. In today’s competitive business environment, successful software must be highly adoptable based on the changing needs of the business. This increasing focus on re-usability and effective use of common platform of multiple business use with little modification is driving need for innovative products and frameworks. Such frameworks bring high degree of re-usability along with effective reduction in overall ownership cost. At IntelliFour, we believe in bring additional value to our clients through our own frameworks. As part of this initiative, we are investing strategically in building selective frameworks and we are proud to showcase IntelliFour Test Automation Framework (iTAF). IntelliFour Test Automation Framework (iTAF) is born out of industry wide need for achieving maximum level of test automation. iTAF is an intelligent framework based on Selenium core and intuitive front end for simple and effective test automation of web applications. 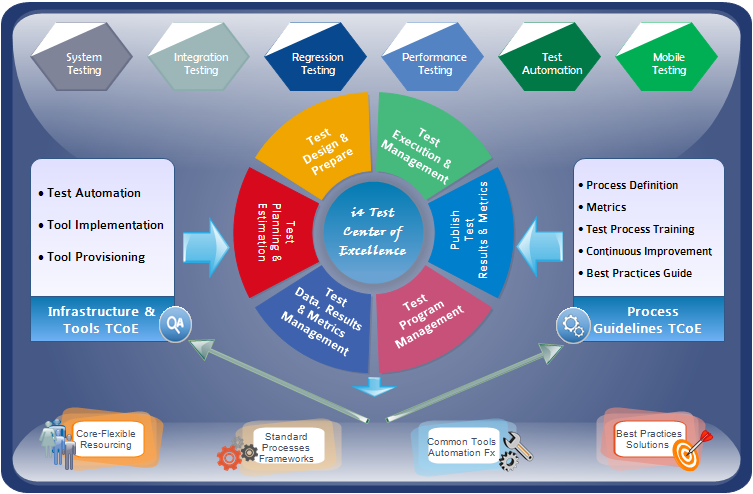 iTAF consist of following key components covering almost 100% test automation of web applications. Intuitive front end: self-serviced iTAF portal that enables your test team to manage test workbench, test plans, schedules and real-time monitoring and reporting of test execution. Your teams can schedule and execute the test plans from anywhere in the world using a browser, on desktops and mobile devices. 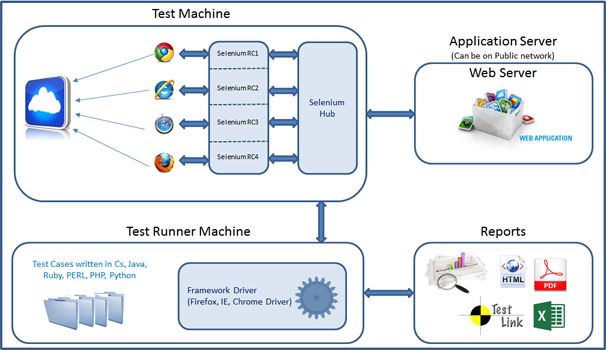 iTAF core: IntelliFour’s test execution engine is built on top of Selenium. The core is scalable, making it capable of executing multiple test plans simultaneously targeting various browsers. Reports: at the end of test plan execution, the iTAF prepares summary as well as detailed reports. The test reports are sent via email. Product/project managers review the summary report to quickly ascertain readiness of product for release. Detailed reports helps your teams to precisely get to the point of failure. iTAF is created for both cloud and behind the firewall for enterprises. You can choose to subscribe for iTAF services in the hosted model where you pay for what you use OR you can choose buy the enterprise version that will be deployed within your firewall.